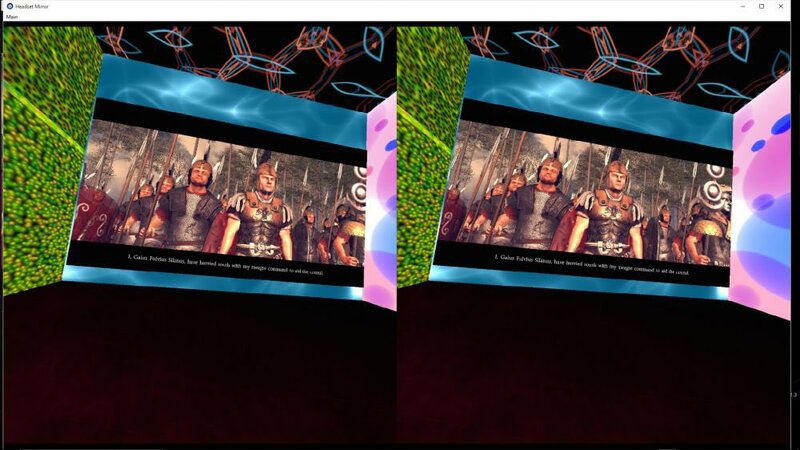 The #1 Stereoscopic 3D Gaming (VR Gaming, 3D Gaming) and VR Resource | Meant to be Seen - Vireio Perception 3.0.0 Alpha 2 is OUT! With the previous alpha release of Vireio Perception, we introduced asynchronous timewarp and reinvigorated DirectX 9 support. We say reinvigorated because it was touch and go there for awhile! Miracle worker Simon Brown (Dr. Beef) discovered that individual games have certain timing idiosyncrasies that was adding jutter to the experience and creating a left eye / right eye desyncronization. To compensate for this, we have added a game by game timing adjustment that can be found in the "Overall Settings" menu. A setting of 0 has not waiting period and is most likely going to exhibit the described problems. A setting of 20 will be smooth, but introduce latency. A setting between 3-8 should work well depending on your machine. Provided your computer can deliver a frame rate in the high 30s, you should be able to achieve a judder-free experience. Please report your findings! The VR Boost scanner for Bioshock 2 has also been fixed. More to come!